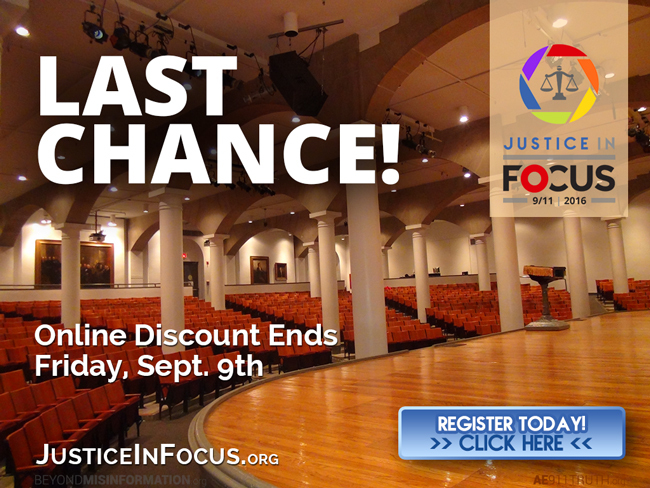 Friday, September 9, is the final day to purchase discount tickets online for Justice In Focus: 9/11 | 2016. Save $10 by purchasing them now! 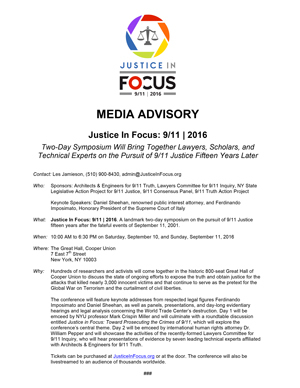 Not able to make it to New York this weekend? 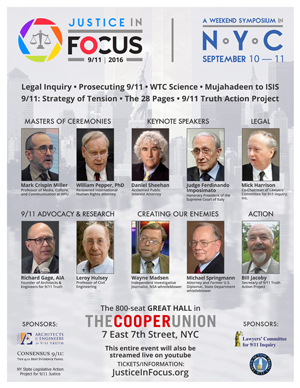 Make a suggested donation of $10 — though any amount is welcome! 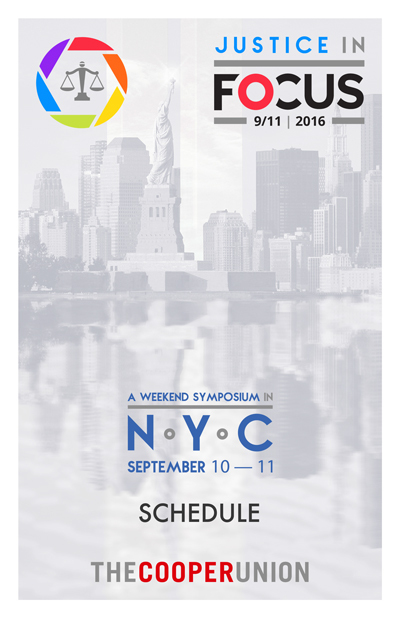 — through the end of the weekend, and you’ll receive a link to watch the official Livestream. 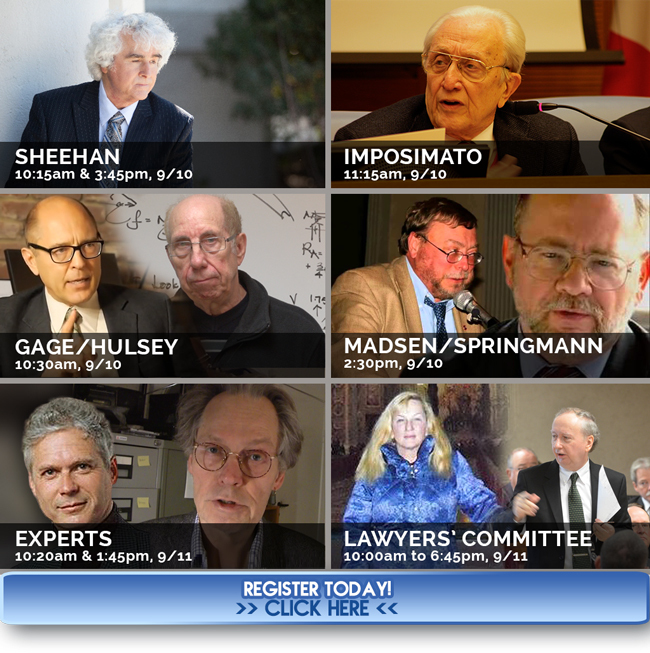 Watch every minute live or tune in for the sessions that interest you most (view the schedule). 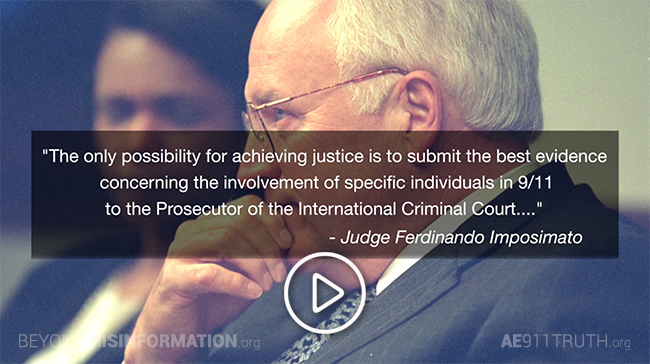 Your donation will help cover the roughly $4,000 cost of broadcasting Justice In Focus live to thousands of viewers worldwide.